Robert Johnson is the subject of the most famous myth about the history of the blues: he allegedly sold his soul at the crossroads in exchange for his incredible talent, and this deal led to his tragic death at age 27. This single notion can be recited by everyone who has ever heard of him, but the actual story of his life remains unknown save for a few inaccurate anecdotes. Up Jumped the Devil is the result of over 50 years of research. Gayle Dean Wardlow has been interviewing people who knew Robert Johnson since the early 1960s, and he was the person who discovered Johnson's death certificate in 1967. Bruce Conforth began his study of Johnson's life and music in 1970 and made it his personal mission to try to fill in the gaps in what was still unknown about him. In this definitive biography, the two authors relied on every possible interview, resource and document, most of it material that no one has ever seen before. As a result, this book not only destroys every myth that ever surrounded Johnson, but also tells a very human and tragic story of a real person. It is the first book about Johnson that documents his years in Memphis, details his trip to New York, uncovers where and when his wife Virginia died and the impact this had on him, fully portrays the other women Johnson was involved with, and tells exactly how and why he died and who gave him the poison that killed him. 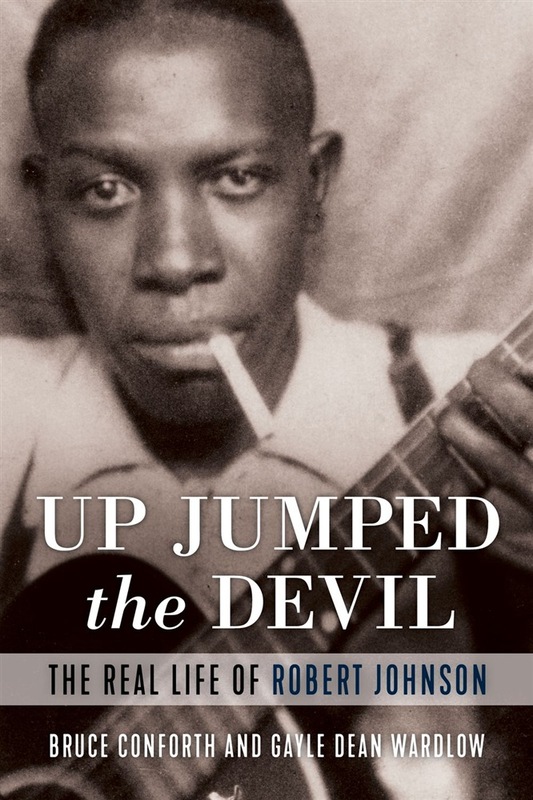 Up Jumped the Devil will astonish blues fans who thought they knew something about Johnson—most of those things are wrong—and will be a great read for anyone interested in blues, black culture and American music. Acquista Up Jumped the Devil in Epub: dopo aver letto l’ebook Up Jumped the Devil di Bruce Conforth, Gayle Dean Wardlow ti invitiamo a lasciarci una Recensione qui sotto: sarà utile agli utenti che non abbiano ancora letto questo libro e che vogliano avere delle opinioni altrui. L’opinione su di un libro è molto soggettiva e per questo leggere eventuali recensioni negative non ci dovrà frenare dall’acquisto, anzi dovrà spingerci ad acquistare il libro in fretta per poter dire la nostra ed eventualmente smentire quanto commentato da altri, contribuendo ad arricchire più possibile i commenti e dare sempre più spunti di confronto al pubblico online.